Pony Beebalm (Monarda pectinata) blooms in August and September in upland and lower mountain areas here in Arizona, and I'm not sure why, but these white flowers seemed to be very popular with Northern Cloudywing (Thorybes pylades) butterflies. 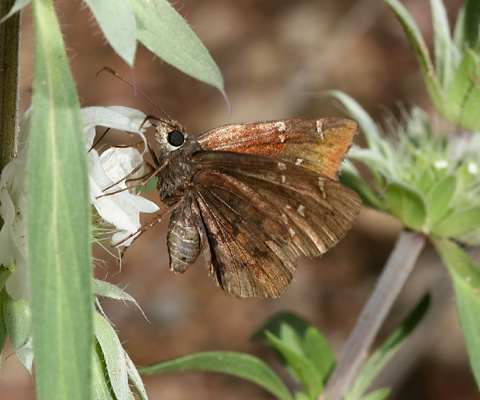 Northern Cloudywing butterflies are in the Skipper Family (Hesperiidae) and like the other family members, they have relatively large eyes, plump bodies, and a moth-like appearance. 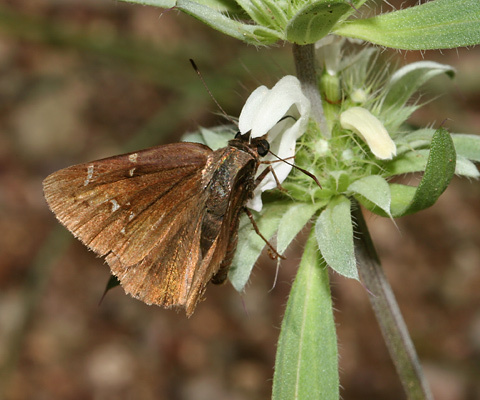 Northern Cloudywings are dark brown and can be identified by the pattern of small clear spots on their forewings and by the two faintly darker bands on their ventral hindwings. 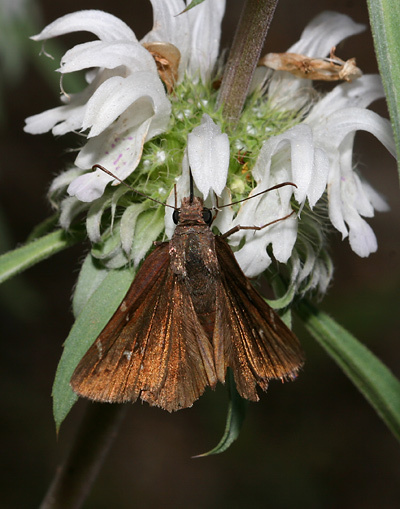 Despite the oddly hooded shape of the Pony Beebalm flowers, the Northern Cloudywing butterflies had no trouble finding and sipping nectar from the flowers. Northern Cloudywing caterpillars feed on plants in the Pea Family (Fabaceae), especially on clover and vetch. Fortunately for this Pony Beebalm, it's in the Mint Family (Lamiaceae) and so will only receive the beneficial attention (pollination) of the adult Northern Cloudywings.